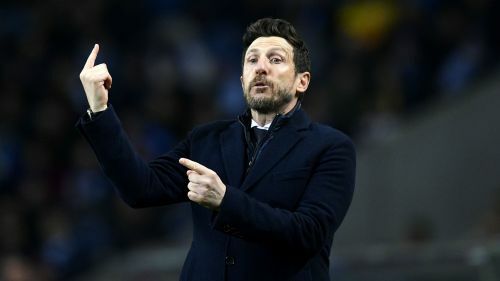 Outgoing Roma boss Eusebio Di Francesco. Eusebio Di Francesco has been sacked as Roma coach following the club's Champions League last-16 exit to Porto. He led them to third place in Serie A in the 2017-18 season, though his biggest achievement was undoubtedly Roma's run to the Champions League semi-finals, eventually coming unstuck 7-6 on aggregate to Liverpool.